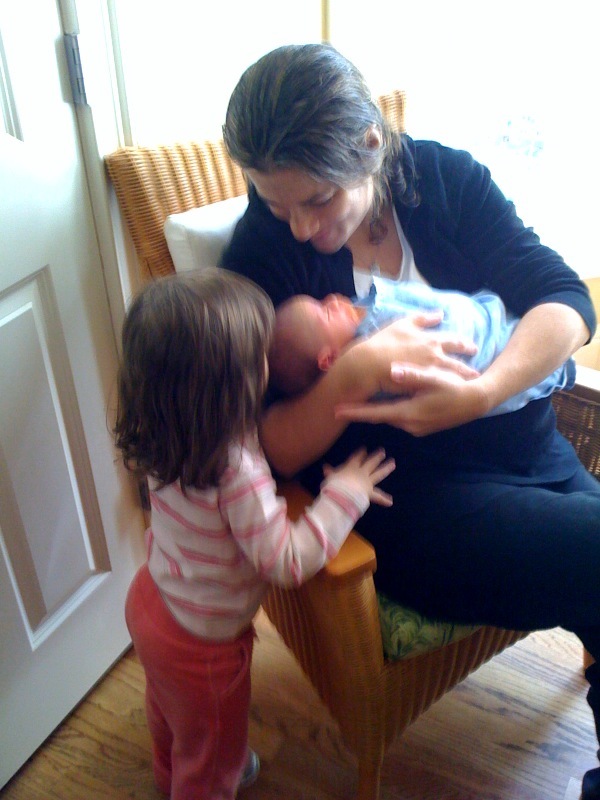 Once Sawyer was home from the hospital the twins were fascinated him. Meanwhile, Evan and I tried to figure out how to manage life with a newborn and 2 1/2-year-old twins. The moment Sawyer cried one of them would run to get his pacifier. The twins would always make sure that he was covered with at least a blanket if not other things. . .
A very wise and close friend advised me and Evan that at our wedding we should stop every once in a while and just enjoy the moment. I thought our wedding would go by very quickly and it did. I did not think that our time with Sawyer would be so quick. I wish I had stopped to just enjoy more moments with Sawyer. Time doesn’t stop for anyone, does it? I wish I could go back for those “moments” and hold them just a little closer. Love that picture with Sawyer and the stuffed animals. I completely understand, Lanie. I always look back and wish the same thing for the short time we had with Aaron. I’ve tried to remember that for all things in life now…stop…soak the details in…enjoy the moment. 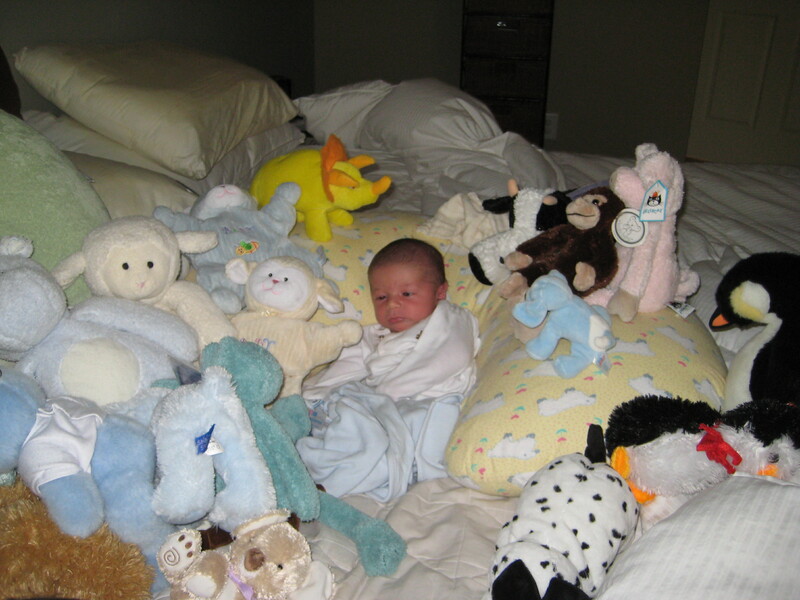 I love the picture of Sawyer surrounded by so many blankets and stuffed animals! So sweet! What adoration and love from his brother and sister! Prayers and love to you all and sweet Sawyer. And I, too, LOVE that he was a part of our normal family life. I hope this brings you a teensy bit of comfort as you think about your Sawyer. Praying for you and I can’t wait to read more about him!